Writing code can be a difficult and daunting process. To most people a website’s source code looks like gibberish. However, if you want to learn how to code there are resources out there. Some websites have made it easier with step-by-step courses that allow the users to effectively lean code. These websites give beginners a foundation of what is involved in web design. Codecademy is one of those sites. It is probably the best website for beginners. Codecademy is probably the most well known web design website. The site is completely free and you can learn in-depth knowledge in both frontend languages (the look of a website) and backend languages (the development of the website). Not only can you learn the languages, but you can also learn how to use those languages in certain applications. It is user-friendly with quizzes and lessons that take beginners step by step on how to learn the basics of a code. Codecademy is probably the best interactive website for design beginners out there. 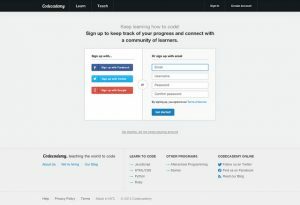 One of the greatest features of Codecademy is that it is free, which means it is open to anyone who wants to learn. This philosophy of free and open source has probably taught millions of people to code who otherwise would never have gotten the chance. 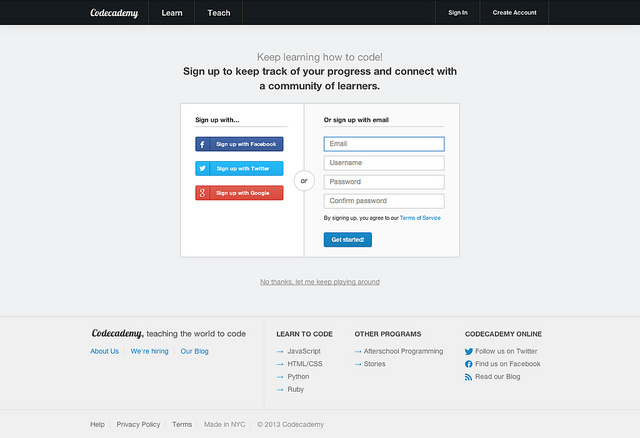 Overall, if you’re looking to get into coding, your best starting point is with Codecademy. With this site you will build a solid foundation for your career as a coder.